Say some prayers or give some positive thoughts for Buff Bradley’s The Player. Honest a horse as they come for a good outfit. Hate to see any of them pulled up but this one hurts. Is The Player a gelding? I guess I was under the impression that he was an entire. The Player is not a gelding. Some of us have been discussing this in the 'Waiting for news on' thread. He's headed to surgery. Many prayers going up. That's hilarious. Thanks for sharing. 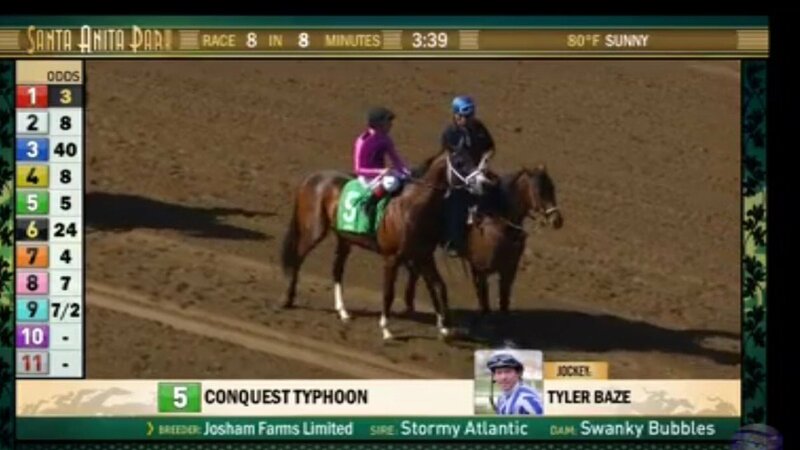 Conquest Typhoon came in 2nd in his comeback race at Santa Anita today. What an accomplishment! When I saw him in the hospital post-fire, I never thought I'd see him run again. I don't even care how he finishes, the fact that he is back to the races is a miracle in itself. HUGE props to everyone in Pete Miller's barn and at the San Luis Rey vet hospital. Happy to see he will be retired. He was a fixture on the UAE circuit for so long. He is owned by Zabeel Racing, the stable of Sheikh Mohammed's late son, Sheikh Rashid, so hopefully he will live out his days at one of Darley's bases. During their Dubai coverage, TVG's Mike and Simon did a tour of the Zabeel Stables, escorted by Satish himself. The place is huge, immaculate, beautiful and full of happy, relaxed horses being walked in pairs. The stables were built facing the city, which fronts on the sea, so the ocean breeze keeps the air in the stables fresh. Maybe Reynaldo' will retire there, with all the other happy horses. 5-year-old gelding roared past favored Chip Leader to win by two lengths.